Why Does Hillary Clinton Keep Coughing? Secretary Clinton is coughing again. Regardless of your political persuasion, observers are wondering, “Why Does Hillary Clinton Keep Coughing?” While Dr. Mandel Sher at Center for Cough has not evaluated Secretary Clinton, he believes there is a high likelihood that Mrs. Clinton has Chronic Cough. Mrs. Clinton fits the profile of a typical Chronic Cough patient. Chronic Cough affects men and women, but it affects women, particularly as they age, more often. In the absence of a precise diagnosis and rationale for coughing spells, there is speculation and worry. Dr. Mandel Sher, Medical Director at Center for Cough, is a Cough specialist. Dr. Sher encourages people who are suffering with a persistent cough that won’t go away to come-in for a cough evaluation and cough treatment plan. Dr. Sher emphasizes that sometimes Chronic Cough is a symptom of an underlying and more serious medical problem. Sometimes, Chronic Cough is THE problem! In all cases, lingering cough should not be ignored and people suffering with Chronic Cough should not learn to live with it. http://centerforcough.com/wp-content/uploads/2016/01/Screen-Shot-2016-02-28-at-9.54.56-AM.png 267 452 Center For Cough http://centerforcough.com/wp-content/uploads/2016/03/cfc-logo-300x82.png Center For Cough2016-02-25 01:38:102016-09-28 11:10:08Why Does Hillary Clinton Keep Coughing? 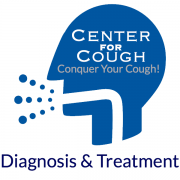 Dr. Sher and Center for Cough team identify the precise Chronic Cough cause and Chronic Cough triggers. Each person has a unique cough profile. Understanding your cough profile is the first and most important step toward effective cough treatment. Chronic Cough can be triggered by a variety of medical conditions. Below are the most common Chronic Cough triggers. Persistent cough that does not go away can be an indication of an underlying serious medical problem. Only precise diagnosis of your cough’s cause and its triggers can reveal if cough is a symptom or if cough is THE problem. If you or someone you know has Chronic Cough, contact Dr. Mandel Sher at Center for Cough. A comprehensive cough diagnostic approach and cough treatment plan is the first step toward measurable and lasting cough relief. Please call: 727-393-8067.